From left to right: Silver Bielefelder pullet, Bielefelder pullet, Bielefelder cockerel. 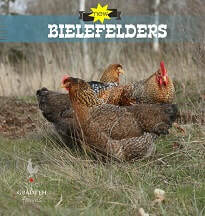 Our Bielefelders are a combination of our new and classic lines of birds. 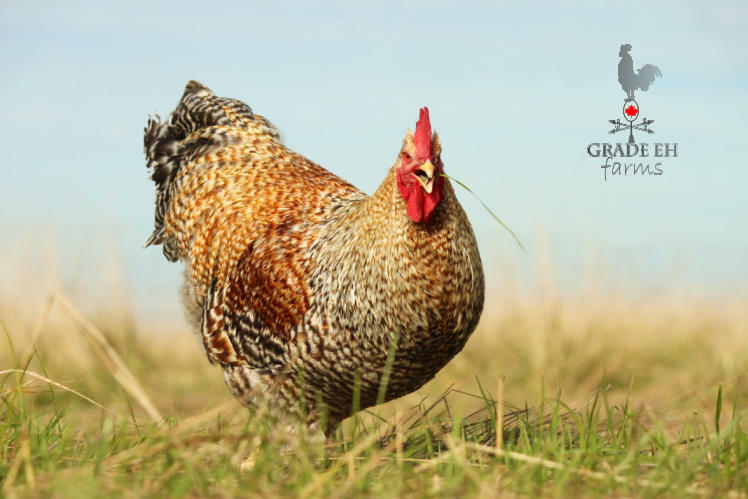 We have multiple breeding programs in order to continue the enhancement of the production and dual purpose characteristics of this breed. The birds will not be banded as to which flocks your birds originate. 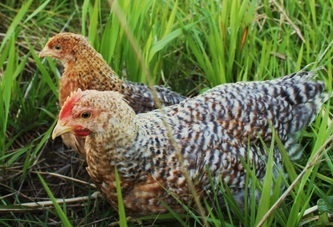 I love the creole red and white mix of colouring on the neck and hackle. Red and white is the perfect mix of colours, eh? The Bielefelder has been around since 1980. Thanks to Mr. Roth it is a collage of dual purpose chickens that breed true. If you live in the city, I would suggest you trade in the cat for one of these. Very, very good with kids, sweet natured and so tame you could keep them in the house. (Although not recommended.) If you teach them to use the litter box we will send you a prize, if we offered prizes. This beautiful bird is perfectly utilitarian in the fact that you are able to tell the males from the females as day old chicks. Also known as auto sexing. If so inclined, this will give you the opportunity to monitor the diet of the males for fast growth as well as projecting the number of eggs you will have in your weekly stockpile from current hatchlings. It was first bred in the Bielefeld region of Germany. 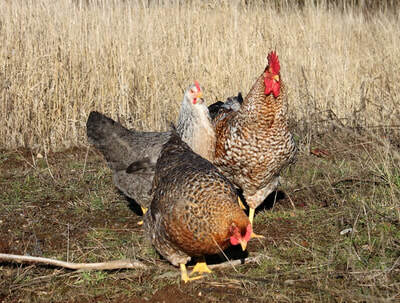 The roosters weighing in at 4-6 kilos on an optimal diet. The fraus weigh in at close to the same and have the ability to lay over 200 large light brown eggs per year. They grow fast and prefer life in the open air. 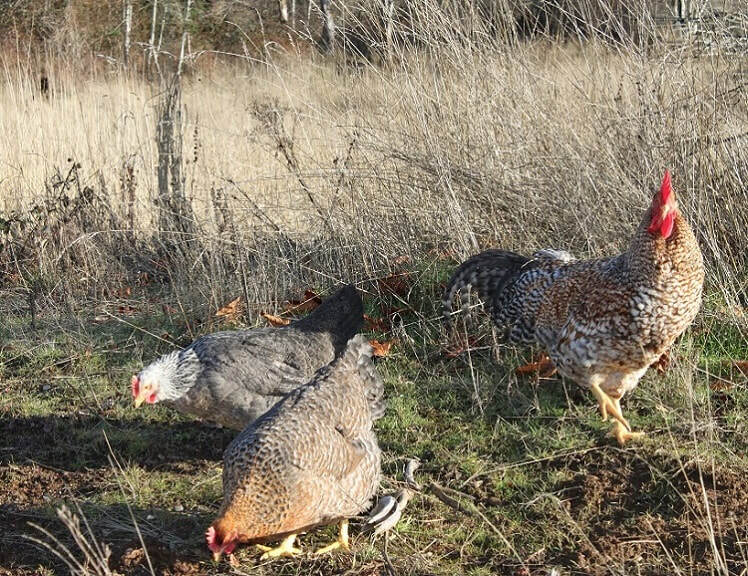 We have consulted with family friends from this region of Germany and have discovered that this is a breed worthy of any small holding, including the backyard coop, and still sought after even in its native country. We are among the first in Canada to legally acquire this breed in large quantities to establish a proper breeding program. the greatest dual purpose chicken in the world.